London 3D Printshow by ExplainingTheFuture, 2012-10-20. Reporting by Christopher Barnatt (futurist). 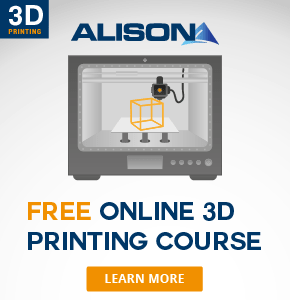 More information is available in his book 3D Printing: The Next Industrial Revolution. Enough said, watch this awesome video of the 3D Print Show in London last year. The variety of models produced with 3D printers is astounding. 3D printing is catching fire with many ordinary consumers who simply want to experiment and designers increasingly using them in all sorts of ways with their clients as a business tool. For designers and artists (creative people), looking at 2 dimensionally displayed models on a flat screen is not as effective as holding a solid object in your hand. We have an exciting future ahead for all you 3D printing enthusiasts. It is a bit nerdy but some great 3D printed models are shown in the video. Many of which are difficult to make or manufacture without 3D printers. It is only just starting folks! and the next few years are likely to see 3D printing moving into the mainstream as more than a hobby. It is going to become a serious design tool and an industrial process used by many manufacturers. This technology looks like having a bright future. So much so that some are calling it the 3rd industrial revolution.